1. Tell us a bit about yourself, and your area of interest. I’m currently a lecturer in International Development at the Univeristy of Edinburgh. My work focuses above all on understanding the dynamics of migration and citizenship, especially in conflict and crisis settings. 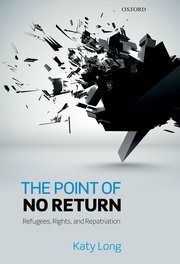 My first book, The Point of No Return: Refugees, Rights and Repatriation, came out in 2013 with OUP, I also blog at katylong.blogspot.com and tweet as @mobilitymuse. I’m especially interested in protracted refugee situations, as well as how the international community responds to both ‘humanitarian crises’ and ‘illegal’ migration flows, often from the same places. In the past I’ve worked in East Africa particularly, though more recently I’ve turned back to look at the politics of immigration in the West, trying to understand how this has become such a toxic subject – and what can be done about it. That’s the subject I’m tackling in my next book, Mending Migration. 2. Looking back at 2013, what do you think were the most promising developments in your field? Do you think they will be sustainable into the next year and beyond? It’s very hard to look at refugee and migration crises in 2013 and point to many unambiguously promising developments. There have definitely been optimistic moments: the decision of the Kenyan courts in July, for example, to uphold the rights of refugees to live in urban areas after the Kenyan government had threatened to forcibly remove several thousand Somali refugees from Eastleigh in Nairobi. But the Westgate bombing just a few months later has only redoubled hostility, and many families have effectively been pushed out as a result of harassment. Another positive was the refusal of most African countries to implement a ‘cessation’ clause for Rwandan refugees that was supposed to come into effect at the end of June, meaning that many who had feared forcible return were granted a reprieve – but are still living in uncertainty. In terms of research and policy work, I think a longer-term positive trend is the continuing interest in focusing on refugees and migrants as connected groups of people and advocating for more creative approaches to ‘solving’ displacement that don’t assume that means stopping people migrating altogether. This is reflected in the growing interest in studying urban refugees and irregular migrants, and in a growing acknowledgement from more ‘development’ orientated researchers and practitioners that refugees are not just a humanitarian issue. 3. What do you think were the most worrying developments in your field? Do you think that they have been, or will be, successfully tackled? Paul Collier’s new book, Exodus! As someone who’s spent the best part of a decade researching and writing on migration in a global development context, it’s profoundly depressing to see this book receive so much attention from mainstream media outlets and form the basis for a ‘new’ migration debate. So much of what Collier concludes is not just unnecessarily pessimistic, it’s also empirically flawed. His contention that refugees must be sent ‘home’ as soon as conflict ends, for instance, ignores a wealth of research showing how sustainable returns are slow returns, and that holding a second passport can actually increase rates of return, as diaspora can ‘hedge their bets’ on an uncertain peace. There’s been an almost universal outpouring of dismay among migration researchers, and there are some very good critical reviews out there trying to redress the balance. But given the current levels of hostility when it comes to immigration, it’s particularly frustrating that Collier is being listened to and presented as an authority on migration by so many politicians and journalists. More broadly, I think the push to repatriate Somalis from Kenya is extremely worrying, and may well have serious consequences, not only in humanitarian terms but also in terms of broader regional stability. Further displacements within South Sudan are also pretty sobering. Although not in Africa, the Syria refugee crisis is also omnipresent, and it’s hard to escape from the overwhelming scale of flight in the region, especially when talking to operational aid agencies struggling to meet emergency needs. Events have also shone the spotlight on the human costs of the West’s increasingly restrictive immigration laws. Protests in Israel led by Eritrean and Sudanese asylum seekers have brought new and more widespread attention to the Israeli state’s treatment of migrants. The Lampedusa wreck in October was a terrible tragedy, and although for a brief moment Europe confronted its own complicity in driving irregular migrants into such leaking boats, since the news cycle ended there has been little concrete commitment to change. The new Australian government’s hard-line asylum policy — no person arriving by boat will be granted asylum in Australia, instead those found to be refugees will be sent to Papua New Guinea — is profoundly depressing. 4. What new trends/events/challenges do you think that people should be looking out for in 2014? I don’t see any radically different approaches to migration or asylum emerging in 2014. 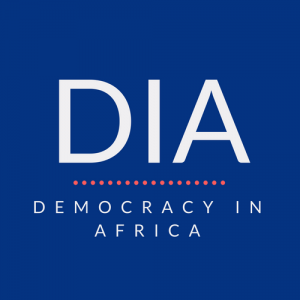 I think instead what we’ll see is a continuation of many of these same challenges — threats to asylum space, a reluctance on the part of many states to countenance local integration, even for second or third generation refugees, and uncertain peace and local conflict in areas like South Sudan and the Sahel prompting new displacements. One trend which will be interesting to watch is how continuing East African Community integration (EAC) affects the ability to travel through the region — in theory, national IDs should now be able to be used to cross within the region, which if it is fully implements could be a real step forward for freedom of movement in the region. 5. If you had the chance to put one issue on the region’s agenda in 2014, what would it be and why? If I only get to choose one, I think it would have to be the need to offer some form of local integration for refugees and other long-term migrants. This doesn’t need to mean citizenship — it could be something similar to an American green card — but two-thirds of refugees spend more than 5 years in exile: the average time in a camp is 17 years. Especially when refugees are encamped (not allowed to leave or to work outside the camp), the result is a huge waste of human capital at an enormous aid cost. We need to start seeing camps as opportunities to plan new integrated urban centres — as chances for development — but this involves states having the political courage to accept that most refugee crises are not temporary, and that even when peace does come, many refugees have never seen the ‘home’ to which they are now supposed to return, and would prefer to stay in the communities where they have spent their entire lives. Offering them the chance to do so legally could make a significant contribution to development chances on both sides of the border.